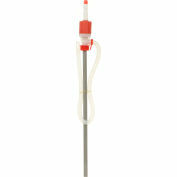 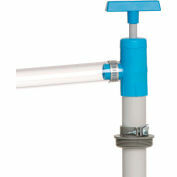 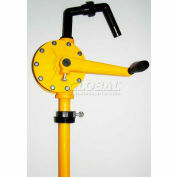 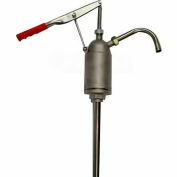 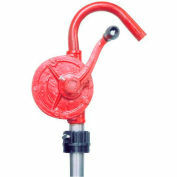 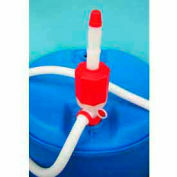 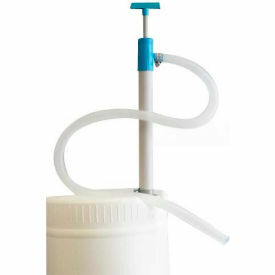 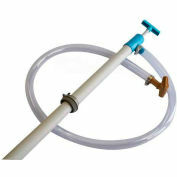 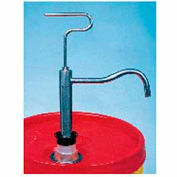 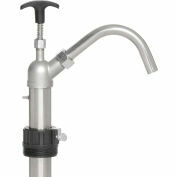 PVC Large Flow Piston Pump dispenses 28 oz. 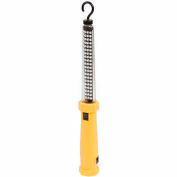 per stroke. 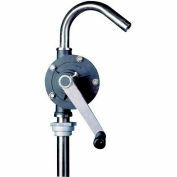 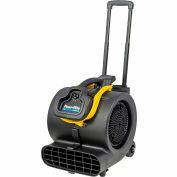 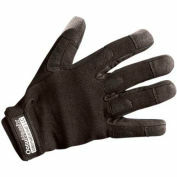 Included: 2" NPT bung adapter and 54" PE discharge hose. 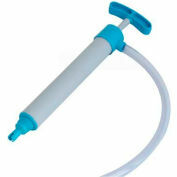 Your review: Pump works great once you insert into liquid. 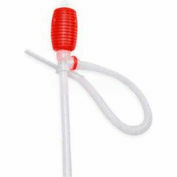 It did feel hard to pump prior to liquid which another person mentioned but the pump has to be in liquid to pump so the other review was very poor in their rating of the product. 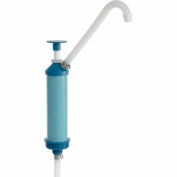 Have used the pump now for 6 months.